Nobody likes to ask awkward questions. But when it comes to our kid's safety, I think we all agree that it's ALWAYS worth it. 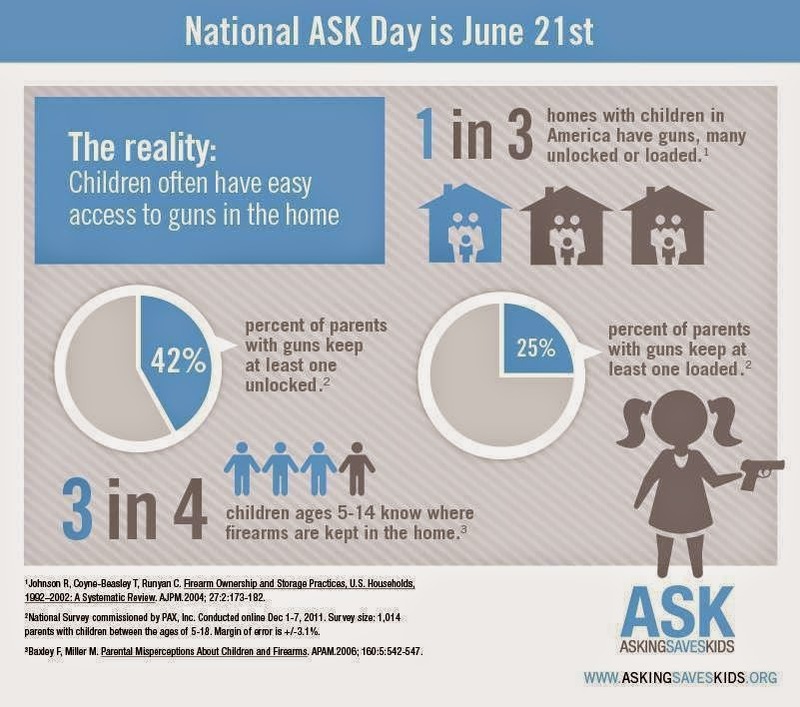 I was asked to be a part of the promotional campaign for National Ask Day and Asking Saves Kids. What is that? It's being willing to ask this question when your child is at someone's house, "Is there an unlocked gun in the house?" This is not an anti-gun campaign or promotion in any way, it is simply a SAFETY campaign for children everywhere. 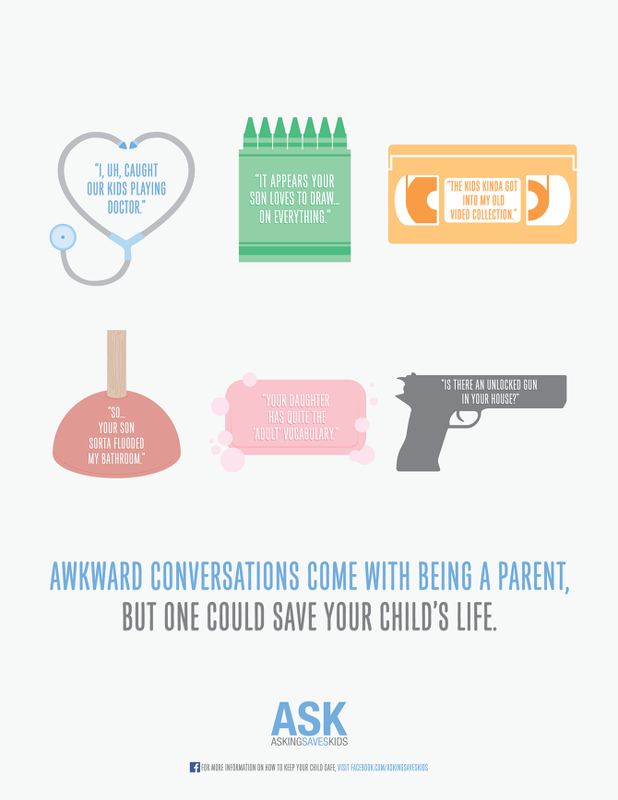 Asking Saves Kids has created a pledge that you can sign online and commit to asking this question. Sign the pledge here. ASK Day is being celebrated in Allegheny County on Saturday, June 21st - the first official day of summer (YAY!). The Children's Museum of Pittsburgh is offering FREE admission all day for the first day of summer and ASK will be there! ASK will be at the Children’s Museum of Pittsburgh’s SPLASH! Kickoff to Summer Community Free Day event this Saturday from 12:30-3:00. Stop by if you’re in the area, take the Pledge to ASK, and get a free ice cream!